Gary Anderson has been forced to pull out of the 2019 Unibet Premier League with a back injury. In an unusual move the PDC have chosen to replace him with 9 individual players on each of the nine ‘Phase 1’ nights. Here’s the nine players who will replace Gary Anderson in the 2019 @unibet Premier League. This move makes the Premier League Darts a nine-player competition and it also strengthens the chances of Michael van Gerwen who will be seeking his fourth consecutive Premier League win and fourth in succession. The Dutchman now has to be considered unopposable given his all-round brilliance and recent form which has seen him win the PDC World Championships and last weekend’s BetVictor Masters tournament. As a consequence there will be plenty of alternative darts betting markets such as ‘without the favourite’. Likewise you can find markets on ‘who will finish bottom of the league’ and this gives us our first tip, Welshman Gerwyn Price. Gerwyn Price made history last year by failing to win any one of his nine Phase 1 matches. He did draw two matches but with a leg difference of -29 he was clearly outclassed. Recently slapped with a £21,000 fine and booed every time he walked to the oche in the Darts Masters tournament less than a week ago, once again he could be an easy nut to crack. There were three 170 finishes in the 2018 Premier League but, at 1/33, there’s no value in the 2019 Premier League having at least one more. It’s 8/11 about there not being 9-dart finish though and that does hold some betting appeal. There was not a ‘perfect leg’ in the 2018 Premier League (or 2015, 2014, 2013) and Gary Anderson’s absence is certainly a bonus as the Scotsman has recorded three televised 9-dart finishes during his career to date. As for Thursday’s opening night action, which comes from Newcastle, we have two strong darts betting tips and a two thirds of a third game covered giving us two trebles at 11/1+ and 22/1+ apiece. 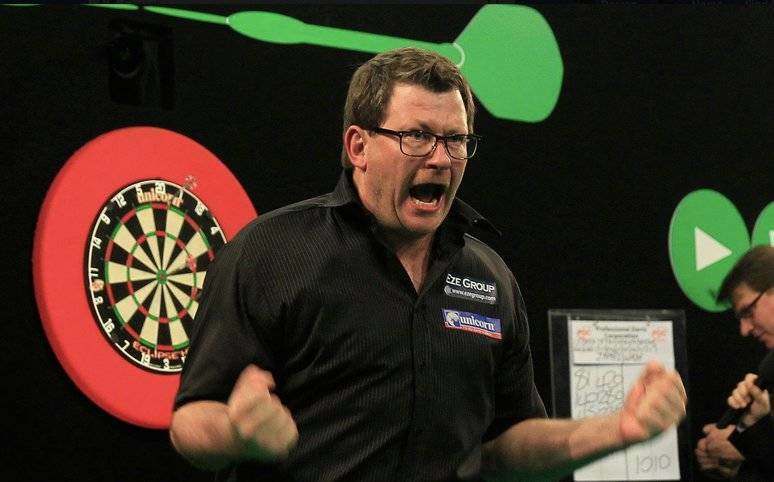 James Wade got a good spin out of last weekend’s BetVictor Masters making the final. That should give him plenty of confidence going into this week’s opening Premier League Darts match against a retiring Raymond van Barneveld who was very rusty and poor when last seen in action at the 2019 World Championship. Wade can be backed at 5/4 with Betfair which is industry top-price. If you have a tenner on you should have £22.50 trousered which we would recommend ploughing into Daryl Gurney at 11/8 (with William Hill) in his match against Gerwyn Price. Price has never won a Premier League Darts match and judged on his performance at the Masters on Saturday, he’s not going to start now. Hopefully your £10 investment will be £53,44 now which we recommend splitting in two and placing two Premier League darts bets on the Peter Wright vs Rob Cross match where we think it’s unlikely the 2018 World Darts Champion will get the gravy. Therein the recommendation is backing both Wright to win with the sponsors, Unibet, at 7/5 and also covering the Draw at 10/3 with BetVictor or William Hill once more. Double winnings on all markets as a free bet if the winning player wins the match with a check-out of 100 or greater, applies to winning pre-live single bets on all markets, one qualifying bet per customer (first bet placed), max stake £/€50, max Bonus of £/€500 free bet, this PDC Premier League darts betting offer ends on 23rd of May 2019. Opt-in, and place a single bet on any pre-match market in the Premier League Darts. If the final checkout of the match is 100 or greater, we will pay you double winnings as a free bet up to £/€500. Max £/€50 stake per customer and max bonus £/€500 free bet per customer. Applies to winning pre-live single bets on all markets in Premier League Darts. The final checkout of the match must be a checkout of 100 or more. One qualifying bet per match per customer (first bet placed). Applies to UK & IRE customers aged 18+ through all channels. Standard BoyleSports Terms and Conditions apply. 1. Get up to £25 in free bets beginning with a Bet £10 Get £5 free bet then up to four more £5 free bets. 2. After the initial £5 free bet you will receive a matched free bet equal to a 50% average of your next 3 qualifying bets up to £5. 3. This will happen for every three qualifying bets up to four times for a maximum of £20 in free bets not including the original free bet. 4. Maximum free bet received from 3 qualifying bets is £5 (must place an average of £30 in 3 bets to qualify for the full £5). 5. Maximum £25 in free bets. 6. Free bet stakes do not contribute towards the customers qualifying bets. 7. Qualifying bet must be the first bet placed on the account to qualify for the first free bet. 8. Minimum first bet of £10 or more to qualify. 9. Maximum first free bet of £5. 10. Minimum odds of 1/2 or greater required to qualify. 11. For multiple bets the combined odds must be 1/2 or greater. 12. Qualifying bets must be placed on sportsbook markets. 13. Your free bet will be awarded in the currency your account is held in. 14. Cashed out bets will not qualify towards your average stake. 15. All acquired free bets gained through other promotions will be removed from this offer. 16. Offer available to new customers only. 17. Only customers who sign up through the correct link will qualify for this offer. 18. The First free bet will be applied within 1 hour of settlement of the £10 qualifying bet. 19. Each free bet after this will be applied within 1 hour of settlement and qualification criteria based on your average stake. 20. Bets placed on the same selection multiple times will not qualify for this offer. 21. Free bet cannot be used over the same selections. 22. Free bet stakes will not qualify for this offer. 23. Free bets cannot be transferred. 24. Free bets will expire within 7 days. 25. Free bet stakes will not be included in any free bet returns. 26. Free bets will not qualify for any other special offers such as Cash Back Specials, BPG & Extra Places, etc. 27. Qualifying bet must be placed within 30 days of account opening. 28. Offer applies to UK (excluding NI) customers only. 29. One Free Bet offer per customer, household and IP address only. 30. Customer depositing with Moneybookers, Skrill, Neteller or prepaid cards will not qualify for this offer. 31. We reserve the right to amend or withdraw this offer without prior notice. 32. We reserve the right to withhold free bets if there is a reason to believe the offer is being abused, to include but not limited to account(s) sharing IP addresses, the same family name/address, or other common identifiers.